HTC is promptly changing its vision and fortune-model each year. Be it with the U Play and the U Ultra launched earlier this year or 2016 flagship the HTC 10, they are working hard to restore their lost stature and the mark of reliance they used to offer in past. HTC is switching their past course with this year’s flagship HTC U11. Inside every HTC U11, you will find an AI companion who is devoted to you, and we’ve made it smarter than ever before. HTC Sense Companion will get to know you and your daily patterns over time and offer you more convenience. … and boy, it works just how you want it to. In an official email, HTC has confirmed the availability of U11 in new Solar Red color. 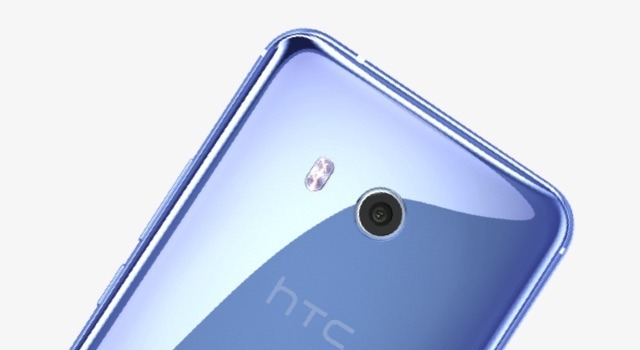 What’s new in HTC U11? Apart from the new additions in the last year’s flagship HTC 10, the U11 has uncanny new highlights to show. Quite new to observe in the world of smartphones, it has always-on edges, yes largely. The U11 can sense pressure across both of its edges. If you squeeze the device across the edges, an operation or a task gets called for. A pre-installed app shows you around and lets you figure out how to open a new app or carry out an extra task each time you squeeze your U11. It is considerably like the high time when Apple introduced Siri and AI to the world. U11 comes with, as the company markets, “the most advanced headset ever built for personal audio.” It introduces the latest version of HTC USonic, which now combines active noise cancellation with the ability to tune audio immediately. USonic earbuds use a sonar-like technology to map the inner ear of the user and then adapts the sound profile to ear profile. This creates an optimized listening experience which is compatible only with the USB-C connection. So, what’s your take on this? Comment below. Watch out for new posts in the Tips & Tricks Section, there will be numerous bombs being dropped there the following month! Until then, keep your addiction to Android alive, with DroidHolic.